How to become a Professional Knitter - Robin Hunter Designs: What Kind of Knitter are You? Mary Lou recently said in the comments to one of my posts "Really, what we wear most is simple. What we want to knit is not." That comment got me thinking about how many of us choose our knitting projects for their challenge. The knitter wants to have an item that is clearly hand crafted by a maker with a skill set that makes the item special. I've also been aware of other knitters who choose projects that look similar to knitted items that are available in retail stores. I know I fall into the first group because my usual reaction to someone asking for a pattern that is like a retail item is, "why when you could make something unique"? However, I do think that as in all things, balance is the answer. We either need to balance the challenge by choosing a garment project that we can wear and enjoy or perhaps we need to plan the project so that it can be worn with the simplest of our clothing and it can become the star of the outfit. So...what kind of knitter are you? Do you want the challenge, do you want a garment you can wear or do you want both? Knowing the answer to this question can only make you happier with whatever choice you make. I am a lazy knitter. That's the kind I am! I love challenge in knitting, but because I knit mostly garments, I tend to knit things that are simple. I'm not going to wear lace, complicated patterns, cables, bobbles, or shawls; so I don't knit them. Children look best in simple styles, so I knit them very simple styles. While I enjoy that knitting allows me to create unique styles and items, my goal is typically to create something that is uniquely suited to the wearer or the person the item is being given to. I guess I would fall into the "practical knitter" category for those things I am going to complete. However, I also spend a lot of time working on projects that I will eventually frog. I enjoy the act of knitting so much that completion really isn't necessary for me; I am a process knitter. 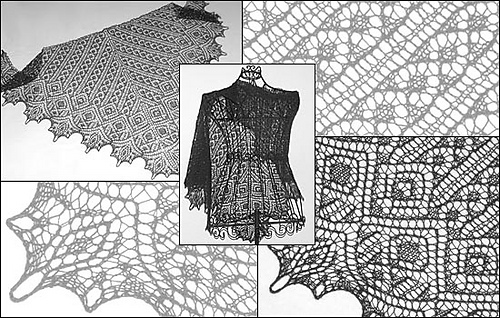 So if I am interested in a beautiful pattern, a garment that no one will ever wear, or something similar; I will knit it and then when finished, frog it in order to use the yarn for something more practical (or another process project! ).